In the past, homeowners weren’t told what color to paint a house, whether they could put a flag or a swingset in the front yard or how to decorate at the holidays. Many today willingly accept such rules as the price of living in upscale neighborhoods governed by homeowners associations. Now another set of property rights rules is being considered, only in this case by government, and not by choice. 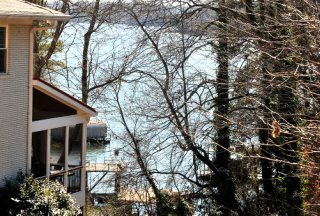 Hall County commissioners are weighing new limits on vacation rentals aimed at houses on Lake Lanier often used for visitors, many of them booked on internet sites. A quick search for “Hall County, Georgia” shows 191 rentals on Airbnb and 50 listed with VRBO. The county is responding to complaints from some permanent lakeside residents over loud, late-night parties, cars parked on the street and in yards, and trash left behind. But noise ordinances, parking limits, public intoxication and littering laws should cover those problems. Barring homeowners from the chance to earn rental income over specific conduct by some customers would impose excessive limits on a free market and individual rights. Still, commissioners are in a tight spot: On the one hand, they have to respond to concerns by homeowners whose tranquil lakeshore lives are being interrupted. On the other, they still need to respect private property laws by crafting sensible rules that don’t discourage all rentals. Hall County is searching for a way to better regulate vacation rental properties. “We’re trying to find a balance,” Board of Commissioners Chairman Richard Higgins said. The latest set of rules being considered would be somewhat less restrictive than earlier attempts but with stronger enforcement than the licensing rules in place now. Despite the number of rentals available, only eight homes in Hall now have proper vacation rental licenses. The new rules would include limiting the number of vehicles parked on a property to seven, with variances allowed for larger homes; requiring a smoke detector in each bedroom, adjoining hallway and common area, already standard for any new construction, according to the Gainesville fire marshal; requiring onsite inspections and building code compliance for rentals with approved occupancy of 16 or more; and once a license is secured, the owner would pay for the county to send letters to all neighbors within 500 feet alerting them to the rental status of the home. The new rules also would have the county Marshal’s Office check the online sites to see if there are homes being rented without a license, and levying fines up to $1,000 for repeat offenders in a single year. The public is invited to weigh in before a final vote March 22. It’s easy to sympathize with residents who can’t get a good night’s sleep because of wild parties and concerns over who may be occupying the house next door at any given time. But the problem is with the behavior, and the county can and should address that through existing laws. Those who disturb the peace at all hours, trash yards or clog roads with vehicles should face consequences. Not all renters are out to throw an “Animal House” toga party by the lake. Those who visit and remain quiet and peaceful shouldn’t be lumped in with the bad actors. Address the lawbreakers without punishing everyone. Skeptics may also feel local governments are looking to enforce licensing fees merely as a way to raise more revenue, or perhaps to mollify complaints from hotel owners who have to comply with their own set of regulations. It’s somewhat like the tug-of-war waged in many cities over ride-sharing businesses like Uber and Lyft competing with highly regulated taxicab companies. That leaves us to ask: Are these burdensome regulations created to safeguard the consumers, or are they being used to support legacy businesses over internet startups? If it’s the latter, perhaps the question is not whether new-age industries should have to face the same restrictions but whether government should impose such a tangle of red tape on any of them. Commissioners must walk a fine line to allow homeowners the right to make their own private-market deals, provided it complies with a reasonable set of rules and doesn’t interfere with the rights of neighbors. Whatever rules they draft should be enforced evenly while seeking to address the real concern — rentals that disrupt the peace of others. Thus, if a homeowner applies for a rental license and that home becomes a regular scene of noise or occupancy complaints, that license could be revoked or suspended. Those who rent out their homes with no such problems shouldn’t have to jump through extra hoops. It serves no great purpose to block fresh methods visitors use to enjoy Lake Lanier and spend money at local restaurants, shops and other businesses. The county should welcome these guests by applying the licensing rules in place without making them any more restrictive and enforcing existing laws to ensure residents are not disturbed or inconvenienced. That would be a win-win for everyone who lives by the lake.